In 1968, she made her feature-film debut in How Sweet It Is! with Debbie Reynolds. She appeared in 80 Steps to Jonah (1969) and Watermelon Man (1970). She made regular appearances on The Don Rickles Show in 1972. She made guest appearances in The Courtship of Eddie’s Father, My Three Sons, Bearcats! and Family Affair. 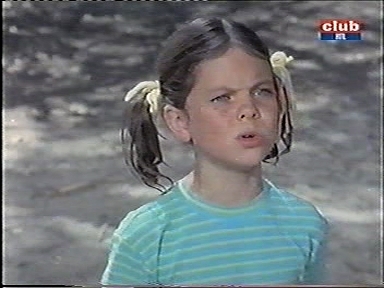 As a young child, she was also on the television series Gunsmoke. In 1974, Moran was cast to play her best known role, Joanie Cunningham on the sitcom Happy Days. She played the feisty younger sister of Richie Cunningham (Ron Howard). Moran continued the role in 1982 in the short-lived spin-off series Joanie Loves Chachi, alongside Scott Baio. After Joanie Loves Chachi’s cancellation in 1983, she returned to Happy Days for its final season. Moran has made several other television guest appearances, including The Love Boat, Murder, She Wrote and Diagnosis: Murder. In 2007, she made an appearance in the independent comedy feature Not Another B Movie. In 2008, she was a contestant on VH1’s reality show Celebrity Fit Club. In 2013, despite reports that she would be reunited with former Happy Days co-stars Henry Winkler, Ron Howard and Scott Baio in the fourth season of Arrested Development, she did not appear in the revamped Netflix series. Wikipedia has more on Moran’s life and career – click here to read. Happy Birthday! In order of my tradition, ready to watch DAKTARI!